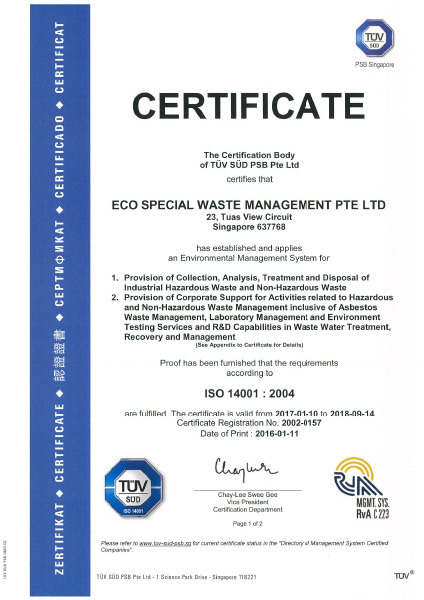 Founded in 1997 and 100% owned by Beijing Capital, ECO is one of the leading waste management solutions providers in Singapore. 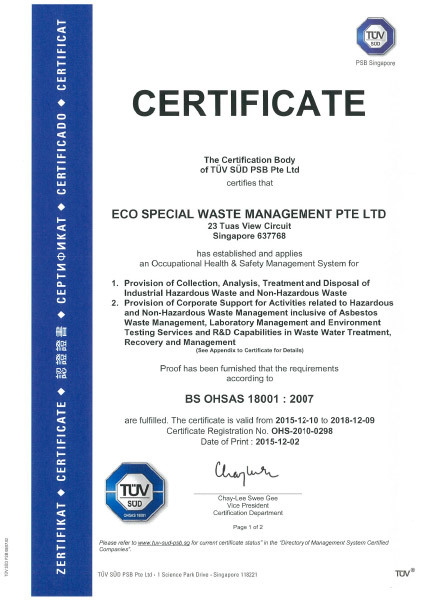 ECO is located on a 7 hectares plot of land at 21/23 Tuas View Circuit and is equipped with state of the art facilities and a fleet of over 40 waste collection vehicles. 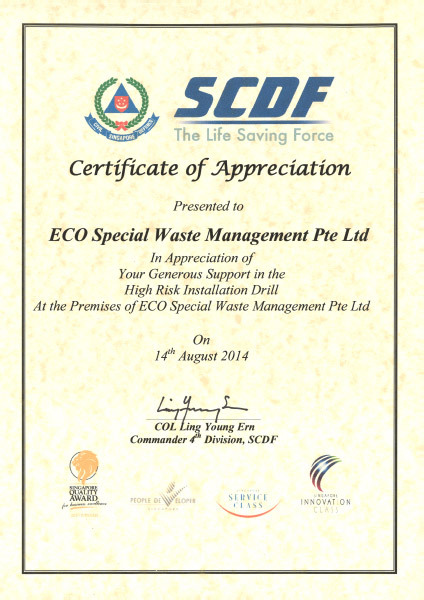 We have more than 260 dedicated staff trained to provide efficient and comprehensive solutions for customers. 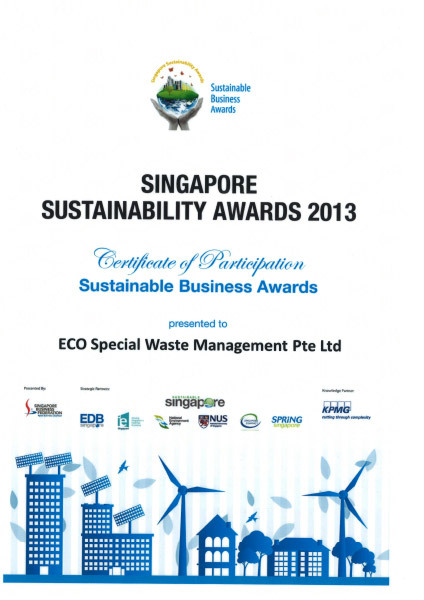 ECO’s success is built upon our commitment to maintain close business partnerships with customers. 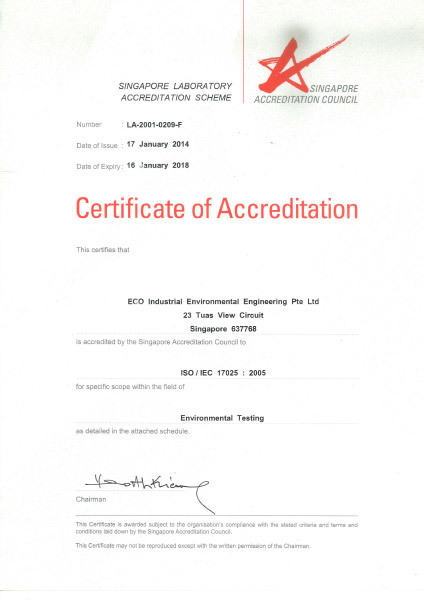 Many of our 2000 customers have been with us since 1997, trusting ECO to solve their waste management challenges. 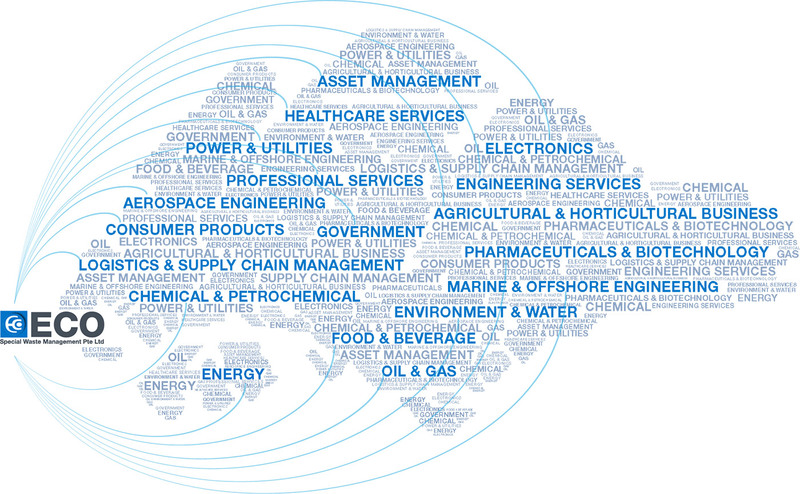 We serve industries such as petrochemical, pharmaceutical, life science, aerospace, institutions, oil and gas, power generation, electronics, marine, engineering, and semiconductor. 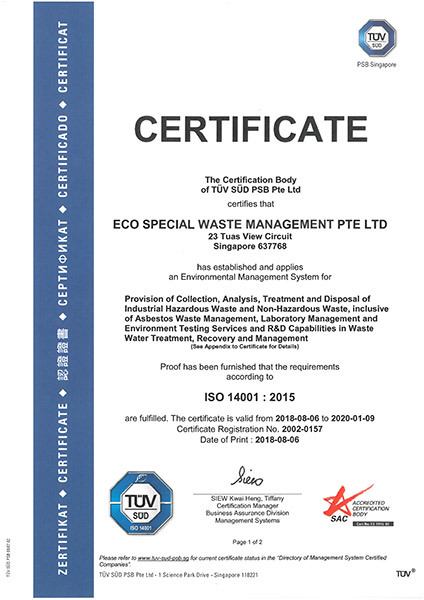 ECO is fully licensed by the National Environment Agency (NEA) as a Toxic Industrial Waste Collector, a General Waste Collector, and an Asbestos Removal Contractor, among other qualifications. 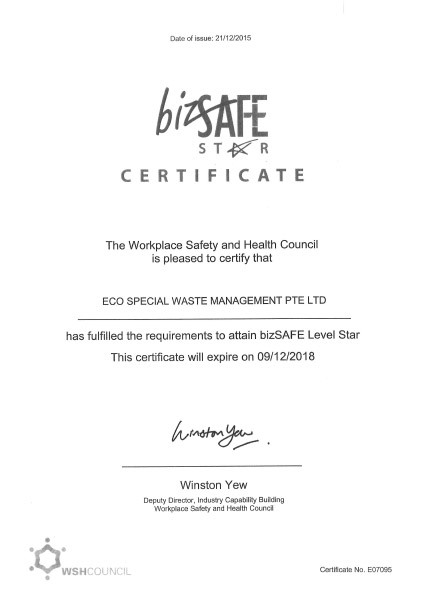 As part of our commitment to environmental protection, proactive health and safety management, and sustainable development, we are certified to ISO14001 Environmental Management System, OHSAS 18001, and Biz Safe Star Level. 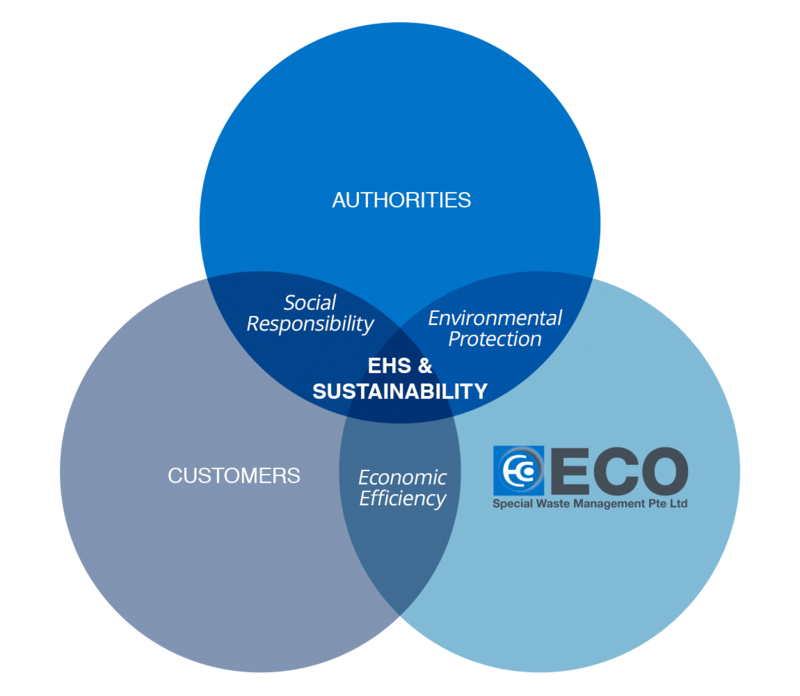 With the duty of care and social responsibility, ECO partners with customers and authorities to ensure good environmental, health and safety performance with the common objective of sustainability.